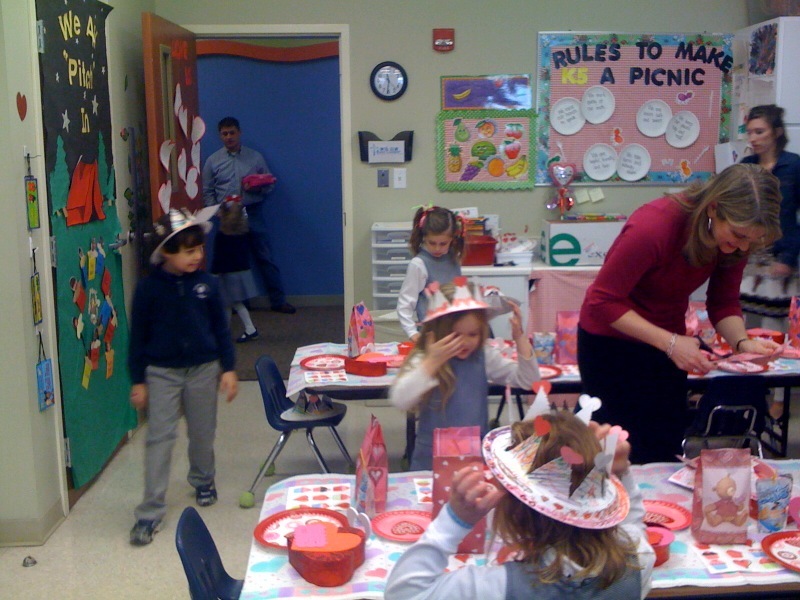 I keep asking myself why I signed up to help with both boys’ Valentine’s Day Parties this year. And I’m still trying to figure out how they ended up on two different days??! Seriously, my boys have the absolute best teachers at PCA (Palmetto Christian Academy). Mrs. Emily Faile is Davis’s teacher in K4 and we think the world of her. She engages the children from the moment they arrive at school and her classroom is a very nurturing place. Miss Aimee Schultz is Colin’s Kindergarten teacher and we are so thankful for her! She has a very gentle way about her that is perfect for children. She prays for our children by name daily and has such a sweet spirit. Both Colin and Davis love going to school each day and are learning so much. Happy Valentine’s Day to these special ladies who take such good care of my boys while they are away from us! They are each a blessing to our family! Where does the time go?? Colin starts kindergarten on Tuesday. KINDERGARTEN!!! I remember the day he was born and the first time we made eye contact like it was yesterday. I don’t know why I’m having such a hard time with this. A better mom would be so excited for her child! Maybe it’s because kindergarten seem so… final. Once you get on the “school train” it doesn’t stop until you go to college. This summer has been a big one for Colin. He has become a determined young man with a will of his own. He has learned to dive, ride a bike without training wheels, do chores, and even completed a hike up and down Whiteside Mountain (that usually leaves most adults huffing and puffing) with amazing ease. He is reading well, writing beautifully and has become quite the little artist. Since he played flag football and t-ball last year, and completed golf and tennis camp again this summer, Colin has decided to play soccer this fall and is very coordinated. We bought his uniforms for school a few days ago and I’m washing and ironing them today to get ready for school. He has a new lunchbox and school supplies so we’re ready to go.